Escaping the pressures of modern society proves to be an unforgettable and life-changing adventure as three families set out to live off the land in the new TLC series, RISKING IT ALL. 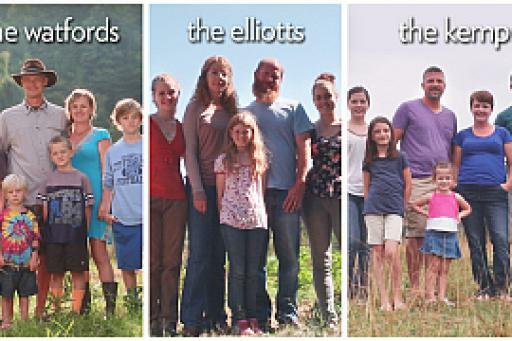 Starting on November 18th at 10/9c, these families not only unplug their smartphones and tablets, but they also give up electricity and running water for a life off the grid in a drastic last resort to reconnect with each other. From attempting to save their marriage to dealing with family illness to regaining control of their relationships, each family has a different reason for embarking on the journey of a lifetime. The three families pack up their homes, say their good-byes to loved ones, and prepare for the challenges that come with trading in the luxuries of modern-day society for a self-sufficient life. Each family faces its own crossroads as their commitment is questioned. Callie and Brett Watford must come clean to their kids. The Kemps journey takes a jarring turn with Shay's health. 18 November 2014 Season 1, Episode 1: What the Frontier? 09 December 2014 Season 1, Episode 4: Celebrate Off-Grid Times, C'mon! 16 December 2014 Season 1, Episode 5: Home Sweet Home? Risking It All is available to watch on TLC. You can also buy, rent full episodes of Risking It All on VUDU.